Winter Scenery is Amazing in the Red River Gorge! 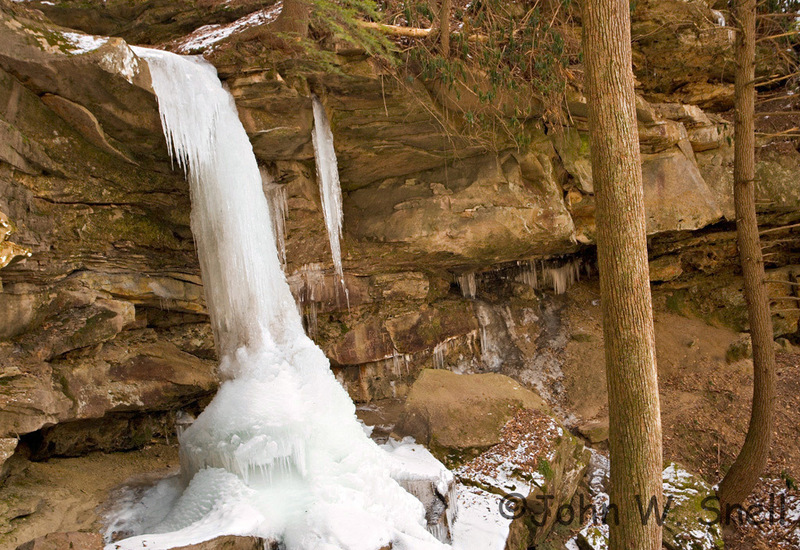 Think there’s nothing to see in the Red River Gorge in Winter? Think again! Nature has sculpted a spectacular masterpiece over millions of years, and much of the glory of this masterpiece is visible only in Winter. As foliage disappears between December and February, you have a chance to view magnificent outcroppings of rocks that are virtually impossible to see in the warmer seasons, like this enormous rock formation that greets you as soon as you enter through the Nada Tunnel entrance to the Gorge! The ruggedness of these mountains is what draws rock climbers from all over the world to this area year after year. Colder temperatures may drive hikers and campers away from the area during the winter, but that creates an uncrowded outdoor playground for you – no crowds, and no snakes (they are hibernating!) either! What a bonus! 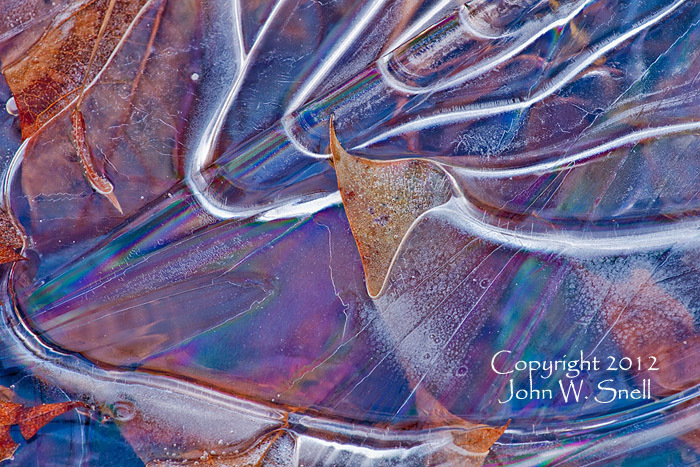 As you drive through the 17 miles of the Gorge (35 miles round trip) you may be lucky enough to stumble upon Nature’s handiwork, as ice formations on the Red River create artistic images that are truly breath-taking – such as this amazing frozen waterfall and swirling blue and purple water tapestry by Kentucky photographer John Snell, taken on a winter morning three years ago! 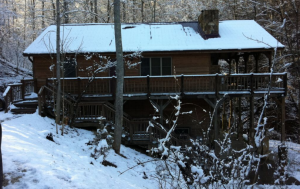 Why not grab your jackets, hats, and gloves and come enjoy the incredible sights of nature you can capture only during winter, including a snowy scene at one of our cozy cabins? Previous Post Holidays in the Hills of Kentucky (Part 6) Next Post Plan Your 2016 Red River Gorge Adventure NOW!